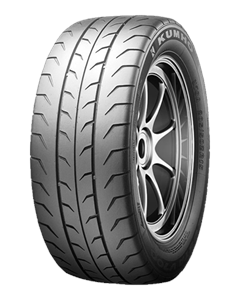 Road-legal, List 1B tyre which has already proved its credentials on the track as the control tyre for the Kumho BMW Championship and the Kumho TVR Tasmin Challenge. Recommended for circuit racing, sprint and hill climb events. The ideal tyre for track day use. Wide range of 13" to 18" sizes available in a choice of hard, medium and soft compounds. Sorry, we currently do not have any tyres with the Ecsta V70A pattern in stock.